Incredible and disgusting but true. Caught on camera for the world to see. 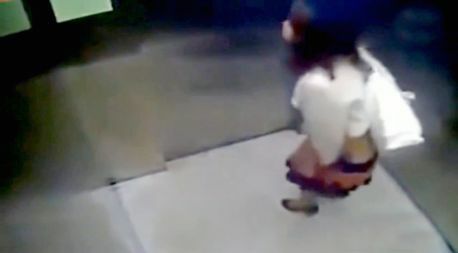 This unbelievable footage from inside a lift shows the moment a well-dressed woman does a giant poo in elevator. She was smartly dressed. Wearing a long skirt and high heels the woman enters the lift and presses the floor she wants to go to. She appeared to be pressed. 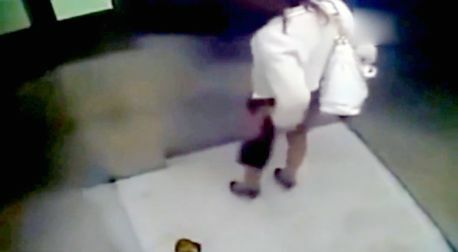 But seconds later the woman, who is carrying a white handbag, starts crossing her legs and doing a little dance. After desperately pressing the floor button again, she gives up and hitches up her skirt in preparation for the shocking act. She then proceeds to poo on the elevator floor. After the disgusting display, she stands up and straightens her clothes, and then walks to the front of the elevator, leaving the foul smelling pile of human waste behind her as if she had nothing to do with it.